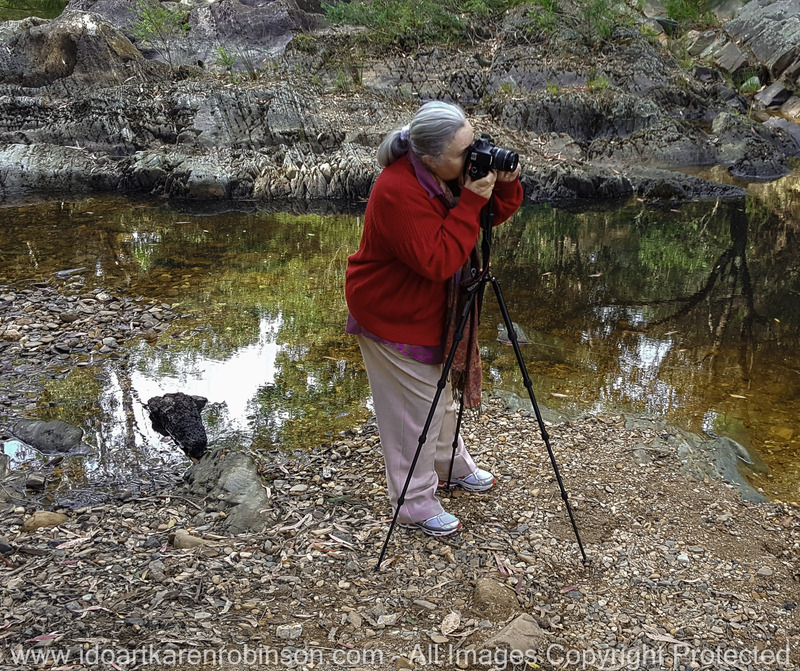 During this landscape photography exercise – I used a compact system camera, a Sony A7 Mark II – Full Frame with a Sony A FE24-240mm F3.5-6.3 OSS Lense. For some of the shots, I used the camera hand-held, and for others, I used the camera mounted on a tripod with a remote timer. Each photography adventure helps me learn more about my camera and lense; and hopefully helps me becoming a better photographer. I also used my Apple iPhone 8 Plus mobile phone for quick spontaneous photographs and gain GPS location readings. There are a number of photographs I took on the day that are my favourite but I have picked this one as a standout. I tried to remember the rules of composition thus having the tree stump in the foreground to the left, the trees set in the middle ground and in the distance, a range of mountains with the blue sky hanging over the whole scene. In future, I will be selecting some photos from each photography adventure and be a little more creative during the development within Adobe Lightroom 6. Here is my first creative attempt! Yan Yean Region, Victoria – Australia_Photographed by ©Karen Robinson http://www.idoartkarenrobinson.com 2017 Aug 27 Comments: Chilly Winter’s day on Ridge Road looking south across the farming region of Yan Yean towards Arthurs Creek. One cold winter’s day my husband and I travelled by car along Ridge Road within the Yan Yean Region where I managed to capture rural landscape photographs featuring lambs resting under huge gum trees, cattle grazing on expansive grass fields and Purple Swamp-hens prodding the grass for food at the Yan Yean Reservoir Park. 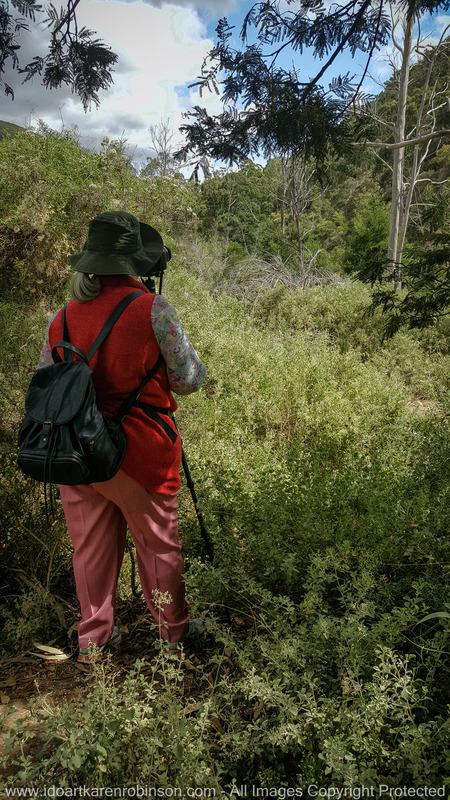 We also sighted many Black Wattle trees which are prolific at this time of the year and found throughout the bush and in local residential gardens. On this particular winter’s day the weather was challenging! It rained, hailed and then the sun appeared revealing beautiful blue skies decorated with white fluffy clouds. 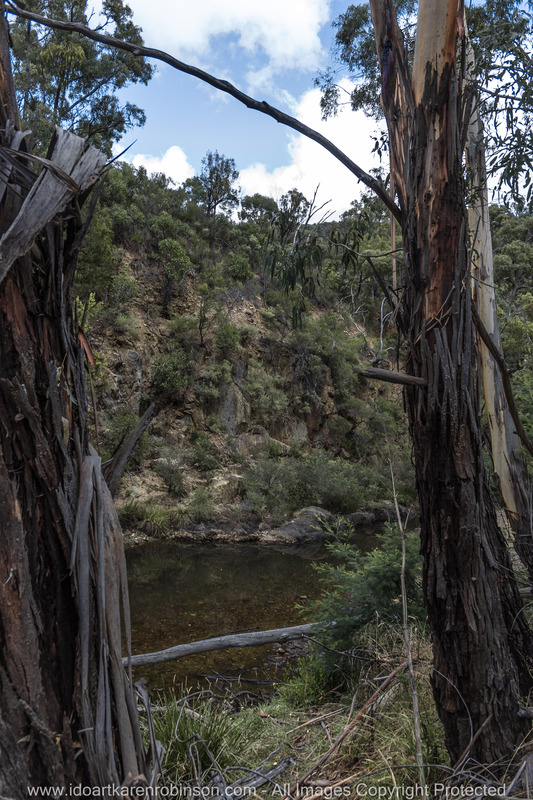 Yan Yean Region, Victoria – Australia_Photographed by ©Karen Robinson http://www.idoartkarenrobinson.com 2017 Aug 27 Comments: Chilly Winter’s day just off Ridge Road at Yan Yean Top Lookout – Yan Yean Reservoir Park. 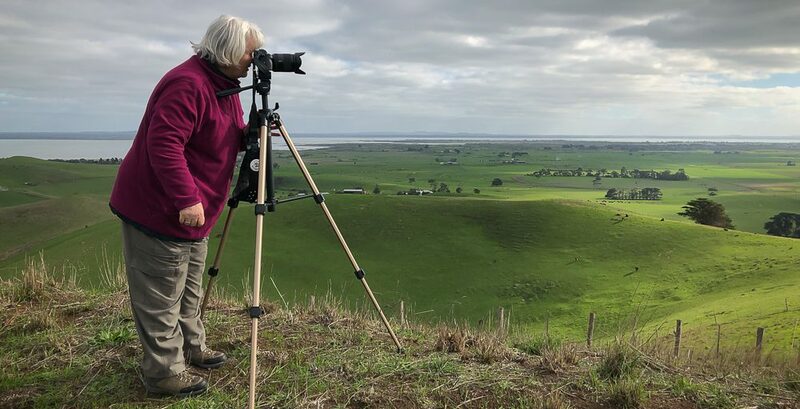 During this landscape photography exercise – I used a compact system camera, a Sony A7 Mark II – Full Frame with a Sony A FE24-240mm F3.5-6.3 OSS Lense. For some of the shots, I used the camera hand-held, and for others, I used the camera mounted on a tripod with a remote timer. Each photography adventure helps me learn more about my camera and lense; and hopefully helps me becoming a better photographer. I also used my Samsung Galaxy S6 mobile phone for quick spontaneous photographs and gain GPS location readings. Yan Yean Region, Victoria – Australia_Photographed by ©Karen Robinson http://www.idoartkarenrobinson.com 2017 Aug 27 Comments: Chilly Winter’s day on Ridge Road looking south across the farming region of Yan Yean towards Arthurs Creek. This particular photo featuring myself taking a photo was taken by my husband on my mobile Galaxy 6 mobile phone. 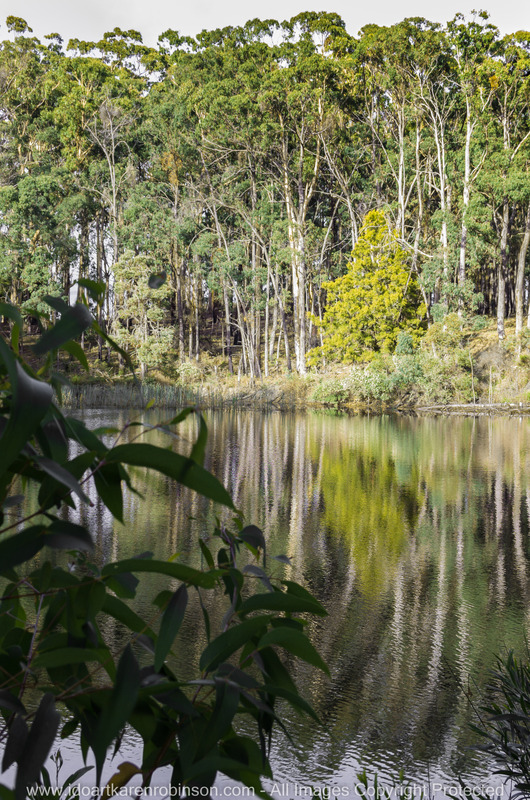 On this particular day and as we were leaving the Yan Yean Top Lookout Reservoir Park area, I spotted these Black Wattle trees. “They are among the tallest of the wattles, this fine species has dark-green bipinnate leaves, numerous and are smooth. The fragrant golden flowers are produced in long heads in spring. It occurs naturally in New South Wales though it has been extensively planted in other States of Australia. It is considered to be one of the best of our wattles (Thistle Y. Harris 1980)”. NB: I particularly like this photograph because of the angle I was able to achieve. The Gum Tree trunk in the foreground leads the eye up towards the pretty blue skies whilst the yellow flowering Black Wattle trees in the background steal the show! And the small puddle of water reflecting the image of the wattle and sky above, just adds that little bit more of interest to the overall shot. 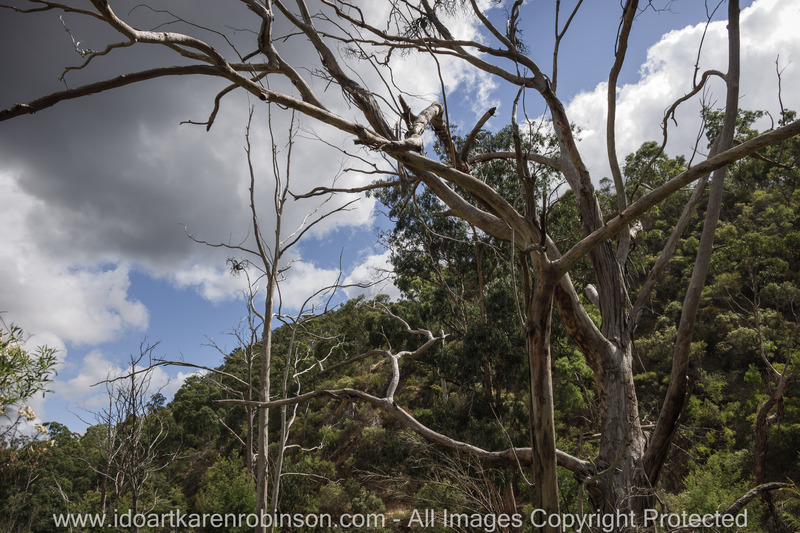 Yan Yean Region, Victoria – Australia_Photographed by ©Karen Robinson http://www.idoartkarenrobinson.com 2017 Aug 27 Comments: Chilly Winter’s day just off Ridge Road at Yan Yean Top Lookout – Yan Yean Reservoir Park. Featured here Black Wattle Trees, among the tallest of the wattles. 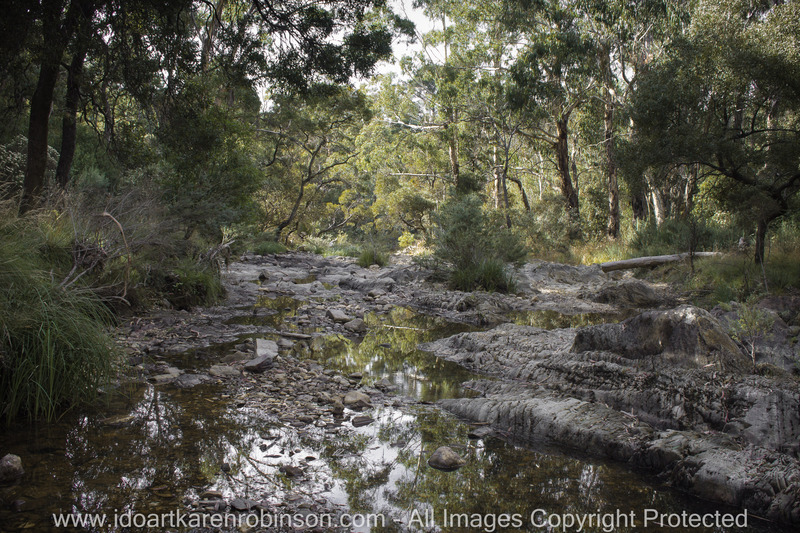 Yan Yean Region, Victoria – Australia_Photographed by ©Karen Robinson http://www.idoartkarenrobinson.com 2017 Aug 27 Comments: Chilly Winter’s day just off Ridge Road at Yan Yean Top Lookout – Yan Yean Reservoir Park. Featured here above Purple Swamp-hen Waterbirds. Yan Yean Region, Victoria – Australia_Photographed by ©Karen Robinson http://www.idoartkarenrobinson.com 2017 Aug 27 Comments: Chilly Winter’s day on Ridge Road looking south across the farming region of Yan Yean near and along Deep Creek. Cattle grazing on grass with mighty storm clouds slipping over the mountains in the background. Yan Yean Region, Victoria – Australia_Photographed by ©Karen Robinson http://www.idoartkarenrobinson.com 2017 Aug 27 Comments: Chilly Winter’s day on Ridge Road looking south across the farming region of Yan Yean near and along Deep Creek. Yan Yean Region, Victoria – Australia_Photographed by ©Karen Robinson. http://www.idoartkarenrobinson.com 2017 Aug 27 Comments: Chilly Winter’s day on Ridge Road looking south across the farming region of Yan Yean towards Arthurs Creek.